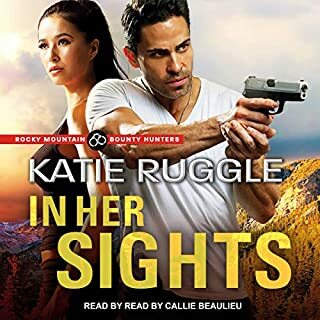 When FBI Special Agent Maggie O’Dell and her partner, Tully, discover the remains of a young woman, the one clue left behind is a map - an invitation of sorts for Maggie to play a game - a game of cat and mouse between killer and investigators that will take Maggie and Tully on a frantic hunt crisscrossing the country to halt a truck-stop killer before he strikes again. With the body count rising, Maggie and her partner race against the clock to unmask the monster before it’s too late. 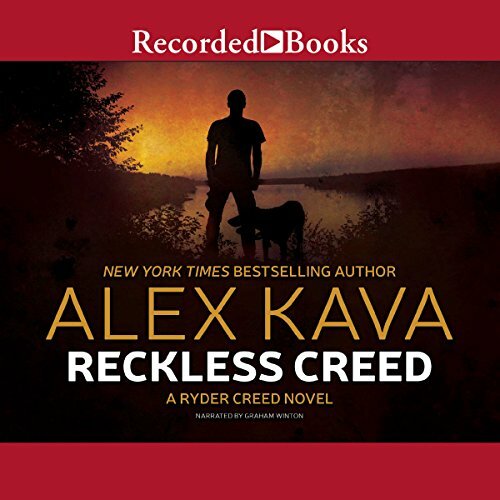 Ryder Creed and his K9 search-and-rescue dogs return in the second installment of an exciting new series, teaming up once more with FBI profiler Maggie O'Dell in their riskiest case yet. 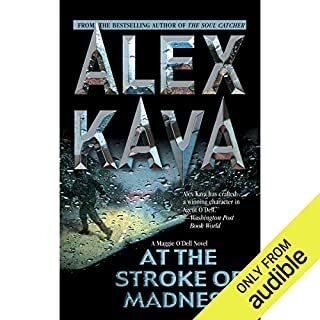 When Ryder Creed responds to a devastating mudslide in North Carolina, he knows that the difference between finding survivors and the dead is time. 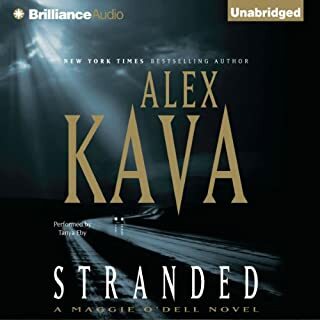 He and his sturdiest search-and-rescue dog, Bolo, get to work immediately, but the scene is rife with danger. When an abandoned warehouse in Washington, D.C., bursts into flames on a cold winter night, the first investigators on the scene instantly spot similarities to a string of recent fires in the area. There is one difference, however: This one has a human casualty. The local team insists the murder is an isolated incident, concluding that the culprit must be a bored young man suffering from an uncontrollable impulse to act out anger and sexual aggression. 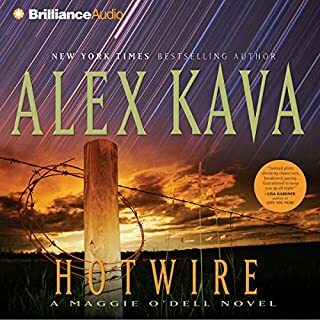 But when Special Agent Maggie O’Dell is called in, everything she sees indicates that this is the work of a dangerous and calculating criminal. They dubbed him the Collector, so named for his ritual of collecting victims before disposing of them in the most heinous ways possible. 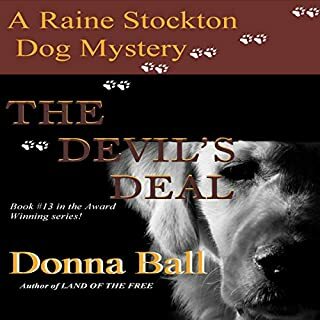 FBI Special Agent Maggie O'Dell spent two years tracking him down, caught in a game of cat and mouse that left her forever marked by this killer. Agent Maggie O'Dell and Assistant Director Cunningham believe they're responding to a threat made at Quantico. Instead they walk into a trap. Before they realize it, they've both been exposed to a killer who can strike at anyone, anytime and no one can predict who might be next...until it's too late. 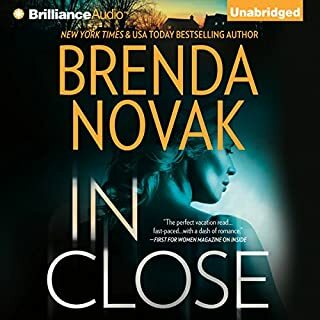 FBI Special Agent Maggie O’Dell is just starting a vacation when she gets a call from her friend, psychologist Dr. Gwen Patterson. One of Gwen’s patients is missing on a trip to Connecticut. Can Maggie look into Joan Begley’s disappearance? At first Maggie dismisses Gwen’s concern. 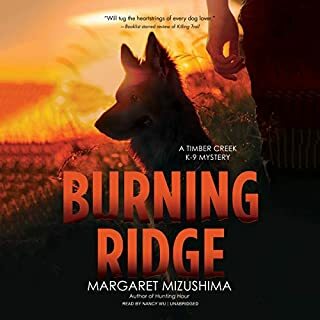 But when the body of a woman is discovered in an abandoned rock quarry in Connecticut, Maggie heads to the small town on “unofficial” business. Soon the shocking news surfaces that more bodies have been discovered. 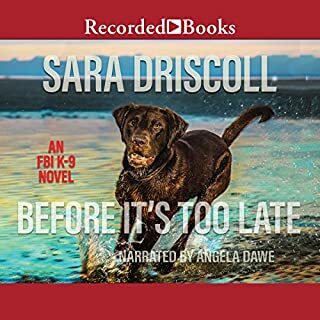 In this powerful K-9 crime thriller, FBI Special Agent Meg Jennings and her trusted search-and-rescue Labrador, Hawk, must race against the clock before a diabolical killer strikes again. Somewhere in the Washington, DC, area, a woman lies helpless in a box. Beneath the earth. Barely breathing. Buried alive. In Quantico, the FBI receives a coded message from the woman's abductor. He wants to play a game with them: decipher the clues, find the grave, save the girl. 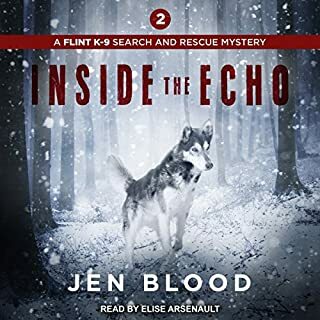 K-9 search and rescue handler Jamie Flint and her team - both human and canine - are called in when a group vanishes during a dogsledding expedition for battered women in the Mahoosuc Mountains of Maine. When it's learned a rogue gunman was involved in the disappearance, authorities look to the abusive partners of the women now lost for answers. Meanwhile, a voice from Jamie's past begins to haunt her, echoing the words of the shooter now in pursuit of a target Jamie alone can save. 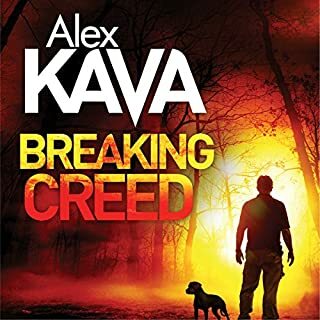 In the new edge-of-your-seat thriller from New York Times best-selling author Alex Kava, Ryder Creed, his K-9 search-and-rescue dogs, and FBI agent Maggie O'Dell find themselves at the center of a dire and mysterious case. 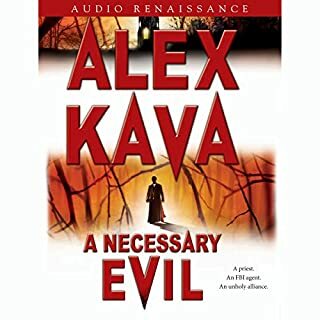 In Chicago a young man jumps from his 30th-story hotel room; along the Missouri River, a hunter and his son stumble upon a lake whose surface is littered with snow geese, all of them dead; and in Southern Alabama, Ryder Creed and his search-and-rescue dog, Grace, find the body of a young woman who went missing in the Conecuh National Forest, and it appears she filled her pockets with rocks and walked into the river. 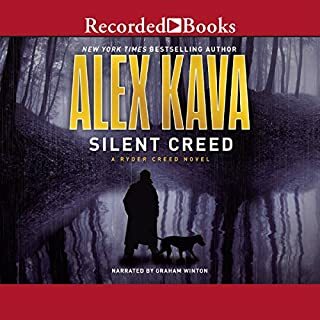 Before long Ryder Creed and FBI profiler Maggie O'Dell will discover the ominous connection among these mysterious deaths. What they find may be the most prolific killer the United States has ever known. There are parts of this story where the author does an absolutely wonderful job providing rich detail, texture and character development. But when it comes to writing a conlclusion or resoling a thread she glosses over or rushes providing only a twitter length of words - very frustrating. 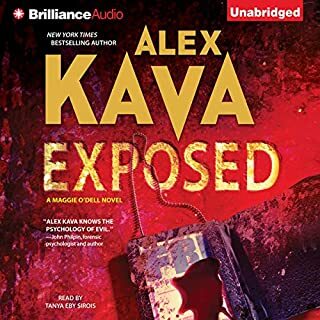 At first I thought the thread was left hanging and would be addressed in the next book, but after listening to all 3 books I have come to the conclusion that this is Ms Kava's MO. There is so much to love about these stores yet when they end I am frustrated – enough so that if there are more in the series I am not so sure I will waste credit on them. At less than 8 hours of listening time it is clear there is room to address the threads and story line without over extending the book. 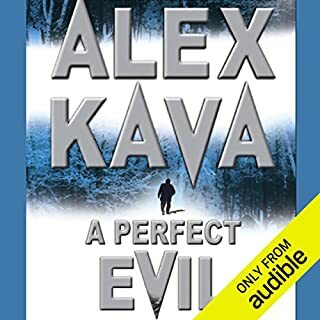 Another reviewer talked about how abruptly these stories end which is true and I believe part of the abruptness is due to the failure to conclude and resolve adequately/enough detail what happens to all villains. 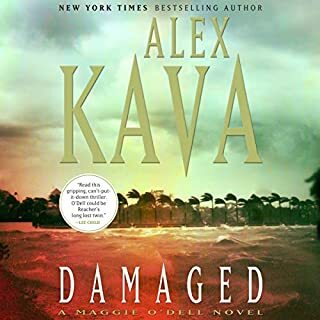 Ms Kava is great at character development and setting the stage but falls short on concluding and resolving the story - actually there barely is one. i cannot wait for the next book! This series combines all the things I.love. Mystery, Drama, Intrigue and a touch of romance with mu ultimate favourite.... dogs! Could not put this down. 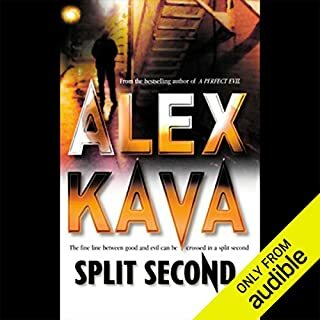 Listened to the complete book in 1 day. 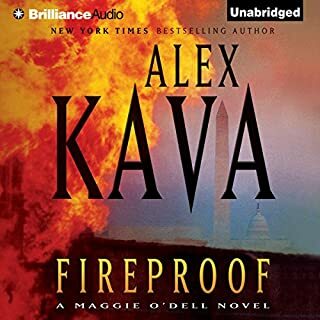 Love Alex Kava's Maggie and Creed. Can't wait for the next book. The best book in the series yet. Good narration too. Can't wait for the next book. 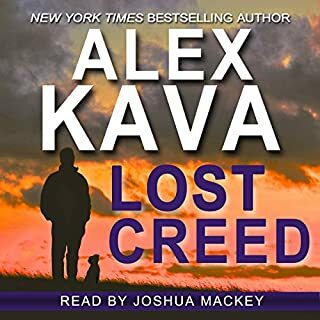 This is the third book in the creed series. - it is a break off from the Maggie o'dell books. The first two were very good. All about Creed and his working dogs. They were front and center. This was good story had all the characters from the other books.